Frequent Amazon shoppers know that tools which can enhance your shopping experience The Amazon Shopping Guide The Amazon Shopping Guide This free Amazon shopping guide outlines everything you need to know to make the best use of Amazon and secure the best deals. Read More are valuable. 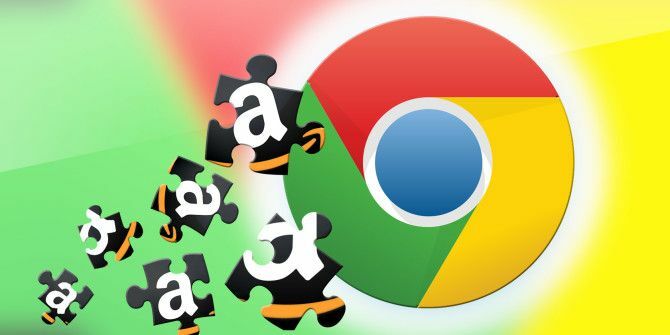 Luckily, Chrome has Amazon extensions that can help you find good deals, check prices, and add items to your wish lists easily. If you enjoy checking those Amazon Lightning Deals regularly, then is the extension for you. The button appears in your extensions toolbar with a number indicator for new deals. Click the button at any time to see the current and upcoming Amazon Lightning Deals, which both have number indicators as well. Each product display shows its image, price, short description, how much time is remaining to purchase at that price, and how many of the product are left. If you select a product, you will then be navigated to that product page within Amazon. You can also change the settings for the Amazon Lightning Deal Watcher by clicking the tool icon on the top right of the pop-up. Here you can choose the exact categories that you like to see deals for, from automotive to fashion to grocery items, this helps narrow down the deals for you. If you like to keep track of prices changes Prices Drop Monitor Allows You To Snag Any Deal On Amazon Prices Drop Monitor Allows You To Snag Any Deal On Amazon Great values in their premium services, like Amazon Prime, keep millions of shoppers coming back. It can be painstaking to window shop every other day and wait patiently for the right deal to come around.... Read More for particular products on Amazon, then The Camelizer is the perfect extension for you. When you are visiting a product page, just click the camel icon which displays in the URL bar at the top of your screen after the extension is installed. You will then see a pop-up with a pricing history graph for the product. The graph displays pricing on the left and dates along the bottom so you can easily see the price fluctuation for the product. You can customize the graph to show pricing history for one month, three months, six months, one year, or all history. Another great feature of The Camelizer is the ability to create pricing alerts. Below the graph are pricing details for Amazon and any available third party sellers. You simply enter the desired price next to the seller, add your email address, and click the Create Price Watches button. You will then receive an email notification when that product’s price matches the desired price you entered. An added bonus to using The Camelizer is that it also works with Best Buy and Newegg. The camel icon will only appear in your URL bar when you are shopping on a participating seller website. This is a helpful extension for seeing just how much it will cost you to purchase all of the items in your Amazon Wish List. Once installed and logged into Amazon, the quantity of items is displayed along with the subtotal for all right below the name of the Wish List you are viewing. The subtotal adds the pricing amounts displayed for each item and does not include any tax or shipping charges. The extension works with all of your Amazon Wish Lists. There is one little quirk when viewing your default Wish List. The Ship-to address is displayed below the name of that Wish List. So, when the Amazon Wish List Total is enabled, it overlaps that address and can make it difficult to read. However, the extension works great with the rest of the lists. This Chrome extension is a definite favorite. The Add to Amazon Wish List extension Add Anything to Your Amazon Wish List With This Chrome Browser Addon Add Anything to Your Amazon Wish List With This Chrome Browser Addon Occasions to give and receive gifts happen throughout the year. Likewise, you have the whole year to craft your own wish list and collect gift ideas for friends and family. But do you have a... Read More allows you to add a product from any shopping website to your Amazon Wish List with the click of a button. 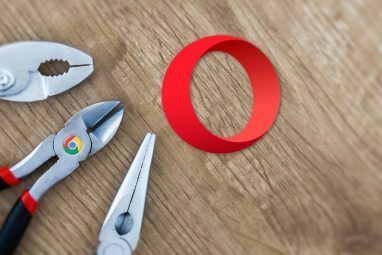 After installing the extension How To Install Chrome Extensions Manually How To Install Chrome Extensions Manually Google recently decided to disable the installation of Chrome extensions from third-party websites, but some users still want to install these extensions. Here's how to do it. Read More , simply shop on your favorite websites. When you are on the product page for an item you would like to add to your list, just click the “Add to Amazon Wish List” button in your extension toolbar. 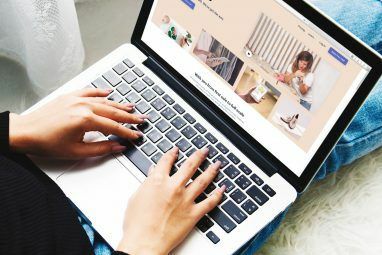 You will then see a pop-up which shows an image of the product, its name, price, a quantity box, a comment section, and the “Add to Wish List” drop-down menu. Select the desired Wish List from the drop-down menu, click the button, and the product is automatically added to the selected Wish List. You can also change the image if there are more available, edit the name, price, quantity, and add a comment. Upon adding the product, you will see a brief confirmation of the Wish List to which it was added. When you log in to Amazon the next time and select the Wish List where you added the product, you will see the same information as in the pop-up when you added it. You also have the ability to edit the comment, quantity, and priority if you like. To order the item, simply click the “Shop This Website” button and it will take you to the product page on the site where you can purchase the item. Note that items cannot be purchased on the Amazon website unless they were added from there. However, this is a wonderful tool for adding items to a list where you can keep track of them. It is especially handy for holiday shopping, wedding or baby registries, and gift lists for your family and friends. How Do You Improve Your Amazon Shopping? These great extensions are really helpful for price tracking, shopping for deals 5 Ways To Spend Less On Amazon Purchases 5 Ways To Spend Less On Amazon Purchases Amazon has built a reputation for great prices. Though not always the least expensive, and often not the best source for sale and clearance items, stock is generally inexpensive and comes attached to a large... Read More , and adding items to your lists. 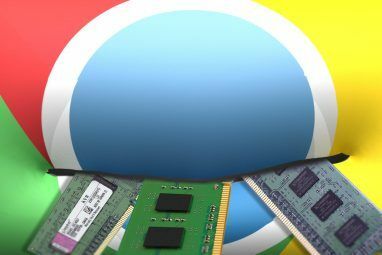 Do you have any other Amazon extensions 3 Google Chrome Extensions to Save $$$ When Shopping Online 3 Google Chrome Extensions to Save $$$ When Shopping Online Read More that you like to use? Please leave us a comment below to share your favorites. Explore more about: Browser Extensions, Google Chrome, Online Shopping. Thanks Josh! I just checked that one out and it has some great features as well, thanks for sharing!